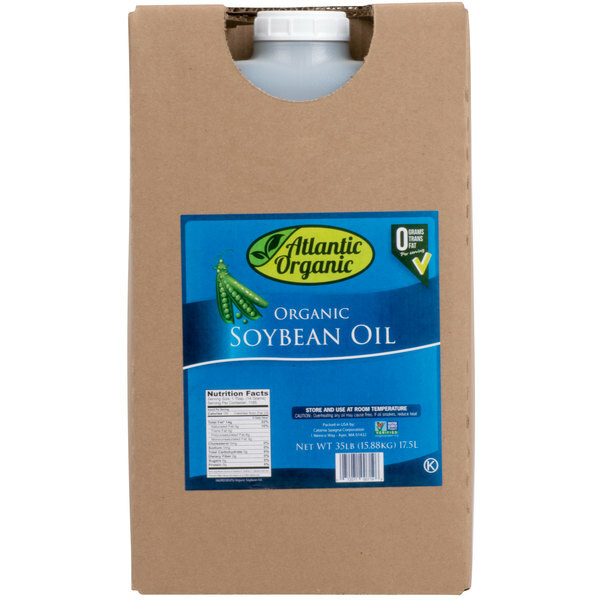 100% Organic Soybean Oil - 35 lb. Organic Soybean Oil - 35 lb. Creamy Fryer Oil - 35 lb. Magic Fry Clear Liquid Shortening - 35 lb. Non-GMO Soybean Oil - 35 lb. Soya Bean Salad Oil - 35 lb. Soya Oil - 17.5 lb. If you're looking to buy organic oils, this 35 lb. organic soybean oil is the perfect choice. Soybean oil is one of the most widely used oils, since it's extremely versatile. Though it's commonly known as a cooking and frying oil, you can also use it for salad dressings, sauces, and baked goods. Extracted from soybeans, this multi-purpose oil is a great value for a variety of kitchen needs. Compared to other cooking oils, this organic soybean oil is low in saturated fats and high in beneficial fatty acids. It has a clear, light color and a neutral taste that won't overpower the taste of the cooked foods themselves. 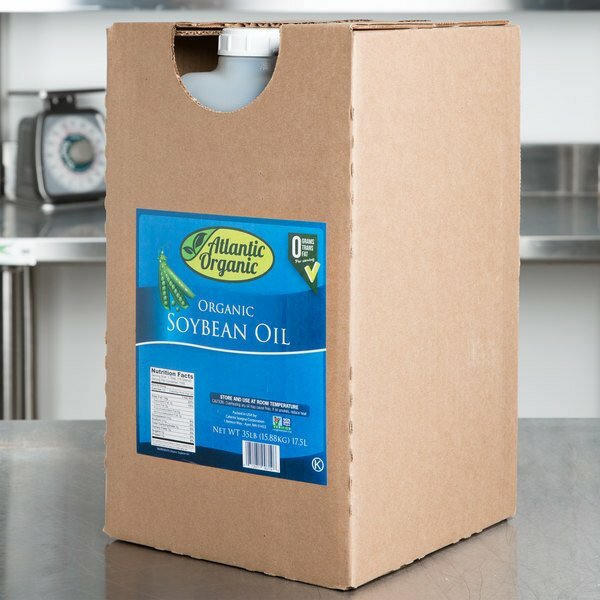 Always keep a good supply of this organic soybean oil on hand, and stock your restaurant, salad bar, concession stand, or diner with this bulk 35 lb. supply! This organic agricultural product has been produced, processed, and certified to consistent national organic standards as set forth by the USDA’s Organic Foods Production Act (OFPA) and the National Organic Program (NOP). 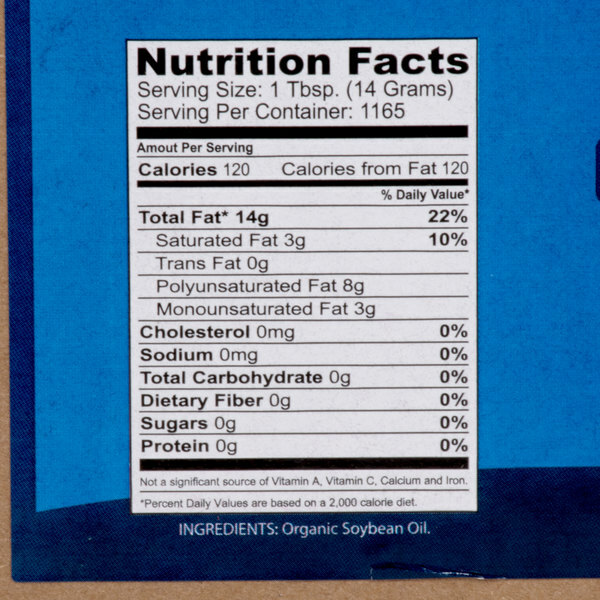 Overall User Rating: 100% Organic Soybean Oil - 35 lb. The 100% organic soybean oil is great. The oil is a great price and the fact that it is organic is a plus. The oil is clean and fries our items to golden perfection.